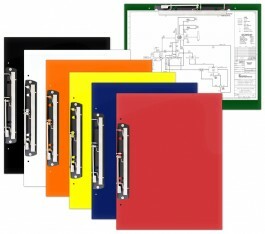 19 x 13 Acrylic Clipboards With 11" Hinge Clip - GS Direct, Inc. This 19 x 13 Clipboard features a locking hinge style clip. The Acrylic plastic board is extra thick and rugged to allow for handling and use while walking or standing. The extra large heavy duty clip is sure to hold your drawings. This clipboard is portable and has rigid surface that holds papers together by means of an 11" clip attached at the top. These clipboards are a convenient way to record information while standing, walking from site to site, or recording data when it is not possible to sit down at a desk. 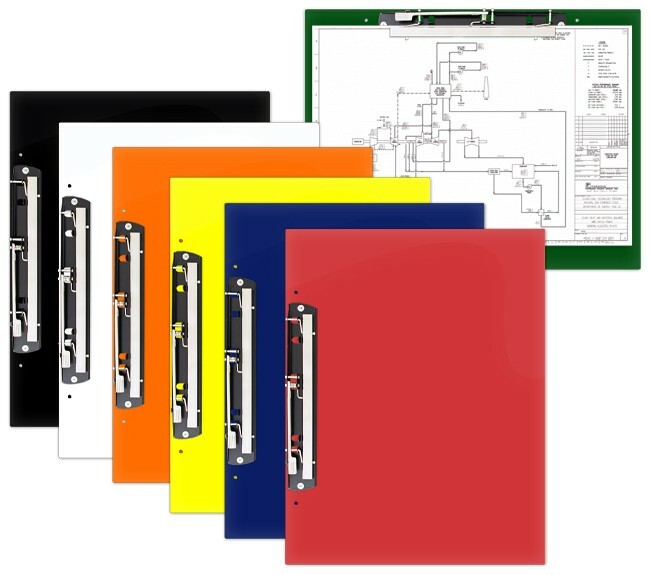 There are a variety of professionals who rely on clipboards from day to day, including surveyors, managers, secretaries, coaches, and more.